Author: Ajay Pal Singh, Vivek Kochar. Punjab Civil Medical Services-1, Civil Hospital Mukerian, Punjab, India. Healing Touch hospital, Ambala, Haryana. India..
Kanwar Hospital, Hoshiarpur, Punjab, India. since 1950s surgical treatment of extracapsular hip fractures is done using a variety of different implants. Unstable fractures are fractures with lateral wall or posteromedial comminution,fractures with reverse obliquity patterns and fractures extending into the femoral neck or subtrochanteric regions. These types are not well controlled by the sliding compression hip screw and side plate and are associated with a high rate of fixation failure when treated with dynamic hip screw. Theoretical biomechanical advantages of intramedullary nails over screw and plate fixation are attributed to a reduced distance between the hip joint and the implant. Success of Proximal femoral nail for the treatment of such fractures is based on biomechanical principles,cadaver studies and clinical series. Although it is seems that nail fixation is superior to sliding compression hip screw and side plate fixation for the treatment of unstable fractures, this point is not well proven till date. Orthopedic literature does not support the superiority of intramedullary nail fixation over sliding hip screw fixation for the treatment of intertrochanteric femoral fractures and intramedullary nail fixation is associated with a higher complication rate. Till date the debate over superiority of extramedullary fixation versus intramedullary implants continues especially in unstable intertrochanteric fractures. This article highlights the advantages and disadvantages of proximal femoral nail in intertrochanteric fractures with review of literature. Intertrochanteric hip fractures account for approximately half of the hip fractures in the elderly and pose a number of management dilemmas depending on the fracture configuration and status of the bones. A wide variety of implants are available for the internal fixation of these fractures ranging from dynamic hip screw which can be combined with trochanteric stabilisation plate; locking plates; intramedullary implants such as proximal femoral nail (PFN), Gamma nail. found dynamic hip screw (DHS) to be superior to intramedullary nails in all trochanteric fractures . So why this change? Why more and more orthopaedicians are shifting to fixation of these fractures with an intramedullary nail? A search of the literature for the ideal implant in intertrochanteric fractures in the review groups of Cochrane library favors the use of sliding hip screw over intramedullary implants [2,3,4]. Also reviews of various other meta-analysis were in favor of sliding hip screw [1,5,6]. This was predominantly due to risk of femoral shaft fracture associated with earlier version of gamma nail and complications due to steep learning curve associated with the implant [7, 8]. The aim in the treatment of intertrochanteric fractures is not only to achieve fracture union but restoration of mobility and function in the shortest duration of time with minimal complications. Fig. 1 is a radiograph of fixation of an unstable fracture with dynamic hip screw and shows break of the lateral femoral wall intraoperatively resulting in medialization of femoral shaft with shortening with high chances of screw cut out with mobilization. In all these patients our primary aim of early mobilization is defeated and we end up keeping the patient in bed for a longer time. Re-operation rates of 4–12% have been reported following the gold standard technique of fixation with dynamic hip screw [9-11]. The re-operation rates are particularly high in patients with unstable fractures. Re-operations are usually performed for medialization of the femoral shaft following mobilization of the patients [9-12]. So considering such high rates of complications in unstable intertrochanteric fractures and the biomechanical advantages of intramedullary implants has made PFN an attractive option. With improved surgical techniques and improved designs of the nail, studies have shown promise in terms of decrease in the rate of complications and early return to pretrauma mobility status [13,14]. Load bearing in the proximal femur is predominantly through calcar femorale, the lever arm of laterally placed plate is increased so there is a risk of implant cut out. (Fig 2). Biomechanically, compared to a laterally fixed side plate, an intramedullary device decreases the bending force of the hip joint on implant by 25-30%. This has advantages especially in elderly patients, in whom the primary treatment goal is immediate full-weight bearing mobilization. Traditionally it was the posteromedial comminution which was considered the most important factor in determining the severity of fracture. The importance of the integrity of the lateral femoral wall has been documented recently [9,10,12]. The lateral wall is the proximal extension of the femoral shaft. This lateral wall is extremely thin in unstable 31-A2 type fracture [9,10]. The lateral wall in patients treated with dynamic hip screw provides a lateral buttress for the controlled fracture impaction and preventing collapse. Palm et al found that there was eight times higher risk of reoperation due to technical failure with the gold standard technique of dynamic hip screw in patients with fracture of the lateral femoral wall  This has been attributed to the fact that when the lateral femoral wall is fractured, the fracture line is parallel to the sliding vector of the sliding hip screw, which, as in the reverse oblique intertrochanteric fracture, allows the trochanteric and femoral head and neck fragments to slide laterally and the shaft to slide medially. The fracture complex subsequently disintegrates, with a high risk of failure including cutout of the screw into the hip joint. Another fact is that most of the fractures of the lateral femoral wall occurs intraoperatively with the gold standard technique when the large diameter hole is drilled into the lateral femoral wall, thereby converting a 31-A2 type to 31-A3 type. Gotfried in a retrospective analysis of twenty-four patients with documented postoperative fracture collapse and there findings showed unequivocally that in all patients, this complication followed fracture of the lateral wall and resulted in protracted period of disability until fracture healing  The importance of the integrity of the lateral wall for event-free fracture healing clearly is indicated, and fracture of the lateral wall should be avoided in any fixation procedure. Zhang et al in an extensive meta-analysis of 6 randomised and quasirandomised studies concluded that PFN group had significantly less operative time, intraoperative blood loss), and length of incision than the DHS group . Intramedullary nails are associated with less shortening and less sliding of the lag screw. This is due to the fact that intramedullary nail stops the telescoping displacement of the proximal aspect of the femur . In fact, the proximal part of the nail blocks the head-and-neck fragment, preventing its complete impaction. Implant failure after fixation of intertrochanteric fractures has been reported to be quite high in the tune of approximately 20% in various series [20-22]. Implant failure can be in the form of broken nail (Fig. 4), Z effect with medialization of superior screw and lateralization of inferior screw on weight bearing in earlier versions of PFN with 2 proximal screws, Reverse Z effect in which superior screw goes laterally and inferior screw goes medially (Fig. 5) and screw cut out with varus collapse (Fig.6a, 6b). This can be attributed to steep learning curve with intramedullary nail fixation of these fractures. Secondly most of the series have been reported in unstable intertrochanteric fractures thus leading to bias. But with improvement in the surgical techniques and improved design of the nail trying to be as similar to the geometry as possible, results have improved [13, 14]. But the most common reason for implant failure is inability to achieve proper reduction. Recent meta analysis by the Cochrane comparing different designs such as screw nail combinations to helical blade nail combinations have shown no significant differences . But in our experience the results have improved significantly in our hands with the Proximal Femoral Nail Antirotation II. But it still requires more evidence to recommend helical blade usage for routine use. Nonunion without implant failure is a rare complication (Fig.7). And the most common reason is improper reduction. Intertrochanteric fractures with posterior sag or fractures with coronal split are the most likely to go for non union. Another reason is fixation of fracture with distraction at the fracture site. Generally short PFN are straight nail which when used in osteoporotic bones may impinge on the anterior femoral cortex which may result in fracture due to excessive force used while inserting the nail (Fig. 8a, 8b). It is a very rare complication but one has to be very careful to avoid this complication. Cost of an intramedullary nail is 7-8 times the cost of a dynamic hip screw which may act as a restraint for use in all patients with intertrochanteric fractures. So there is still a place for DHS in intertrochanteric fractures especially stable ones. But in unstable fractures, DHS needs to be supplemented with trochanteric stabilization plate or we need a PFLCP or reverse DFLCP which costs more to the patient. So cost of implant should not be a factor in unstable intertrochanteric fractures. less blood loss and earlier rehabilitation, the ease of implantation and the possibility of early weight-bearing even after very complex fractures. Surgical expertise is necessary to avoid the complications associated with PFN. 1. Anglen JO, Weinstein JN. Nail or plate fixation of intertrochanteric hip fractures: changing pattern of practice. A review of the American Board of Orthopaedic Surgery Database. J Bone Joint Surg Am. 2008;90:700–7. 2. Parker MJ, Handoll HH. Gamma and other cephalocondylic intramedullary nails versus extramedullary implants for extracapsular hip fractures in adults. Cochrane database Syst Rev [Internet]. 2010 Jan [cited 2015 Mar 8];(9):CD000093. 3. Parker MJ, Handoll HHG. Gamma and other cephalocondylic intramedullary nails versus extramedullary implants for extracapsular hip fractures in adults. Cochrane database Syst Rev [Internet]. 2008 Jan [cited 2015 Mar 8];(3):CD000093. 4. Parker MJ, Handoll HHG. Gamma and other cephalocondylic intramedullary nails versus extramedullary implants for extracapsular hip fractures. Cochrane database Syst Rev [Internet]. 2004 Jan [cited 2015 Mar 8];(1):CD000093. 5. Jones HW, Johnston P, Parker M. Are short femoral nails superior to the sliding hip screw? A meta-analysis of 24 studies involving 3,279 fractures. Int Orthop. 2006;30:69–78. 6. Jiang S-D, Jiang L-S, Zhao C-Q, Dai L-Y. No advantages of Gamma nail over sliding hip screw in the management of peritrochanteric hip fractures: a meta-analysis of randomized controlled trials. Disabil Rehabil. 2008;30:493–7. 7. Radford PJ, Needoff M, Webb JK. A prospective randomised comparison of the dynamic hip screw and the gamma locking nail. J Bone Jt Surgery, Br Vol [Internet]. 1993;75-B:789–93. 8. 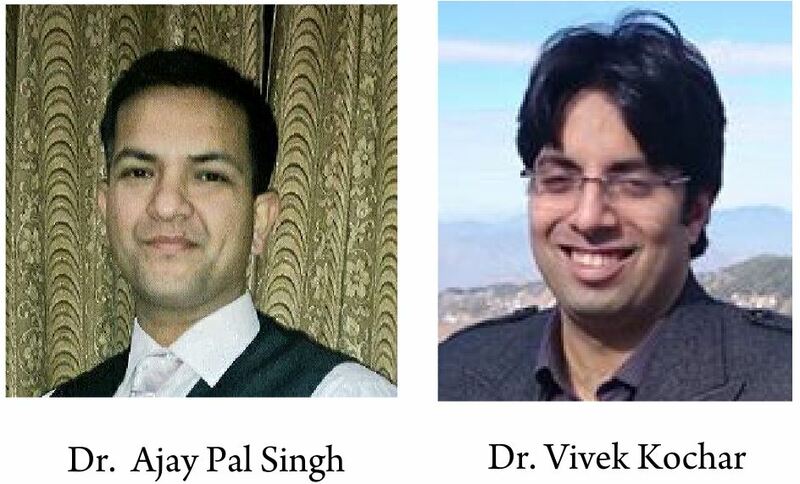 O’Brien PJ, Meek RN, Blachut PA, Broekhuyse HM, Sabharwal S. Fixation of intertrochanteric hip fractures: Gamma nail versus dynamic hip screw. A randomized, prospective study. Can J Surg. 1995;38:516–20. 9. Palm H, Jacobsen S, Sonne-Holm S, Gebuhr P. Integrity of the lateral femoral wall in intertrochanteric hip fractures: an important predictor of a reoperation. J Bone Joint Surg Am. 2007;89:470–5. 10. Gotfried Y. The lateral trochanteric wall: a key element in the reconstruction of unstable pertrochanteric hip fractures. Clin Orthop Relat Res. 2004;82–6. 11. Haidukewych GJ, Israel TA, Berry DJ. Reverse obliquity fractures of the intertrochanteric region of the femur. J Bone Joint Surg Am. 2001;83-A:643–50. 12. Im G-I, Shin Y-W, Song Y-J. Potentially unstable intertrochanteric fractures. J Orthop Trauma. 2005;19:5–9. 13. Pu JS, Liu L, Wang GL, Fang Y, Yang TF. Results of the proximal femoral nail anti-rotation (PFNA) in elderly Chinese patients. Int Orthop. 2009;33:1441–4. 14. Zhang Kairui, Zhang Sheng, Yang Jun, Dong Weiqiang, Wang Shengnan CY, Al-Qwbani Mohammed, Wang Qiang Y Bin. Proximal Femoral Nail vs.Dynamic Hip Screw in Treatment of Intertrochanteric Fractures: A Meta-Analysis. Med Sci Monit. 2014;20:1628–33. 15. Banan H, Al-Sabti A, Jimulia T, Hart AJ. The treatment of unstable, extracapsular hip fractures with the AO/ASIF proximal femoral nail (PFN)–our first 60 cases. Injury [Internet]. 2002 Jun [cited 2015 Mar 8];33(5):401–5. 16. Yao C, Zhang CQ, Jin DX, Chen YF. Early results of reverse less invasive stabilization system plating in treating elderly intertrochanteric fractures: A prospective study compared to proximal femoral nail. Chin Med J (Engl). 2011;124:2150–7. 17. Zhou F, Zhang ZS, Yang H, Tian Y, Ji HQ, Guo Y, et al. Less Invasive Stabilization System (LISS) Versus Proximal Femoral Nail Anti-rotation (PFNA) in Treating Proximal Femoral Fractures. 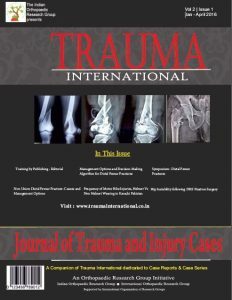 Journal of Orthopaedic Trauma. 2012. p. 155–62. 18. Haq RU, Manhas V, Pankaj A, Srivastava A, Dhammi IK, Jain AK. Proximal femoral nails compared with reverse distal femoral locking plates in intertrochanteric fractures with a compromised lateral wall; a randomised controlled trial. Int Orthop [Internet]. 2014 Jul [cited 2015 Mar 8];38(7):1443–9. 19. Hardy DC, Descamps PY, Krallis P, Fabeck L, Smets P, Bertens CL, Delince PE. Use of an intramedullary hip-screw compared with a compression hip-screw with a plate for intertrochanteric femoral fractures. A prospective, randomized study of one hundred patients. J Bone Joint Surg Am. 1998 May;80(5):618-30. 20. Sadowski C, Lübbeke A, Saudan M, Riand N, Stern R, Hoffmeyer P. Treatment of reverse oblique and transverse intertrochanteric fractures with use of an intramedullary nail or a 95 degrees screw-plate: a prospective, randomized study. J Bone Joint Surg Am. 2002 Mar;84-A(3):372-81. 21. Gavaskar AS, Subramanian M, Tummala NC. Results of proximal femur nail antirotation for low velocity trochanteric fractures in elderly. Indian J Orthop. 2012 Sep;46(5):556-60. 22. Saudan M, Lübbeke A, Sadowski C, Riand N, Stern R, Hoffmeyer P. Pertrochanteric fractures: is there an advantage to an intramedullary nail? : a randomized, prospective study of 206 patients comparing the dynamic hip screw and proximal femoral nail. J Orthop Trauma. 2002 Jul;16(6):386-93. 23. Queally JM, Harris E, Handoll HHG, Parker MJ. Intramedullary nails for extracapsular hip fractures in adults. Cochrane database Syst Rev [Internet]. 2014 Jan [cited 2015 Mar 8];9:CD004961.